I spent this afternoon hanging out at the Tate Modern with my friend M (the Harry Callahan exhibition is a beaut!). 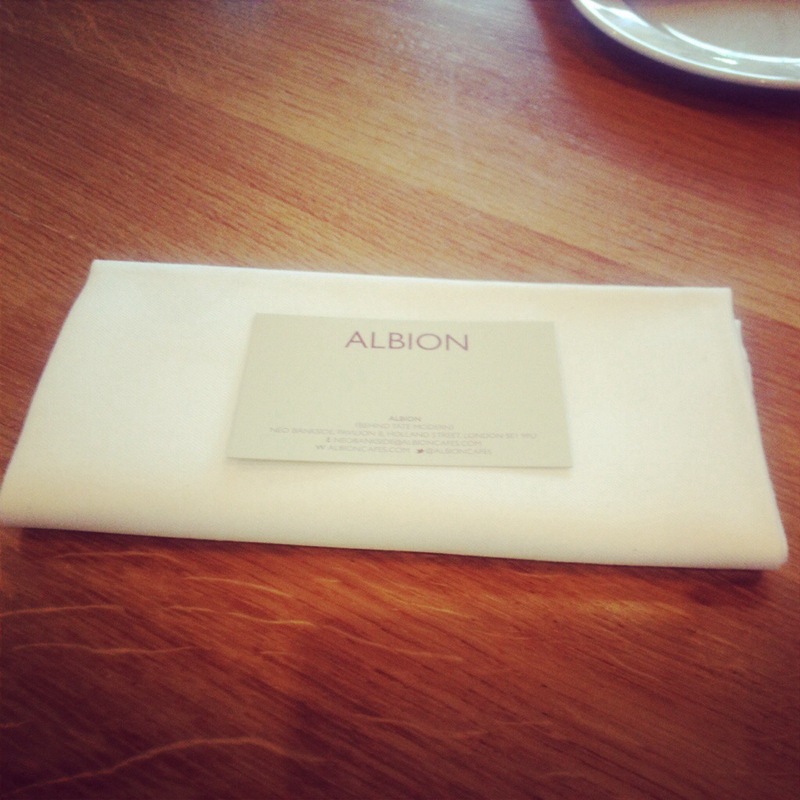 We found the cafés inside the Tate a little busy, so M took us to The Albion a few minutes walk away. The cafe is tucked away in a side street. It was bustling without being overwhelmingly busy, and just what we needed after the deluge of tourists in the Tate. 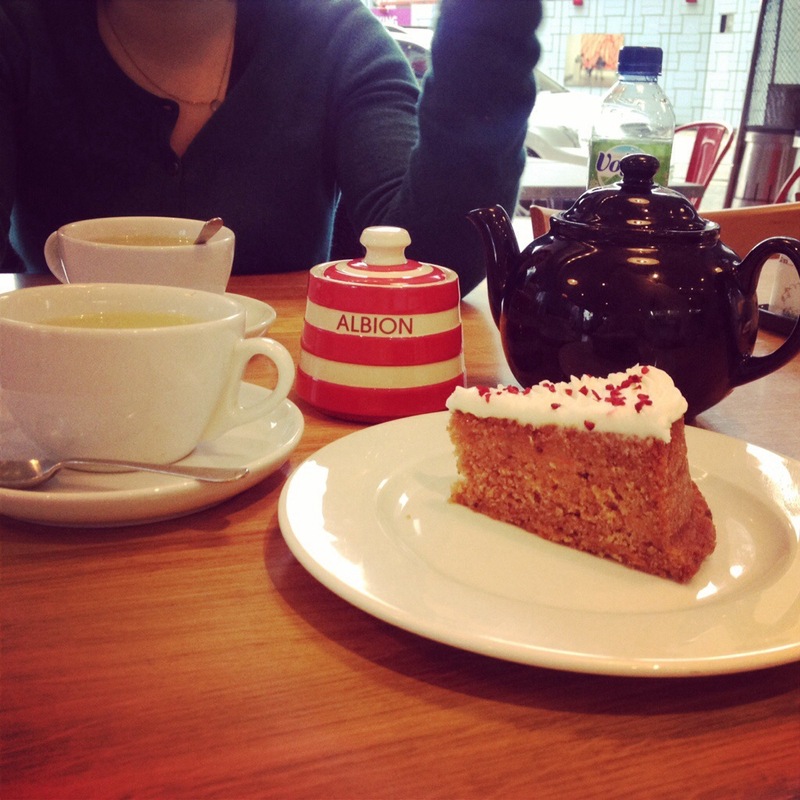 We each had a fresh mint tea and shared a yummy slice of iced carrot cake. Lovely place to get a coffee and recuperate, and a nice alternative to the Tate Modern outlets. 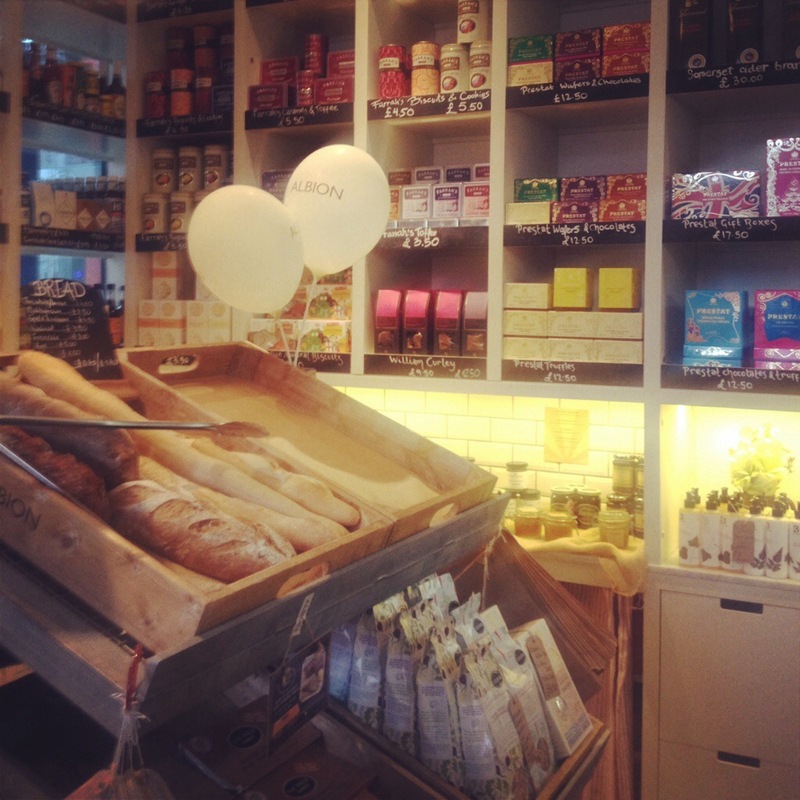 Next PostThe Gluten Free Emporium: A London Kickstarter!